See a doctor online in minutes instead. You don't need to travel to the walk in centre in Canterbury? See a GP online in minutes. You won't have to wait, or travel to your appointment. You can simply talk to a doctor for as long as you like in a location of your choice. Push Doctor is available on iPhone, iPad, Android Devices, Laptops and PCs. See a doctor for £30. Visiting the walk-in centre often requires a long wait. With Push Doctor, you can see a doctor in just a few minutes from your Canterbury home or workplace. We provide face-to-face online appointments with experienced UK doctors. 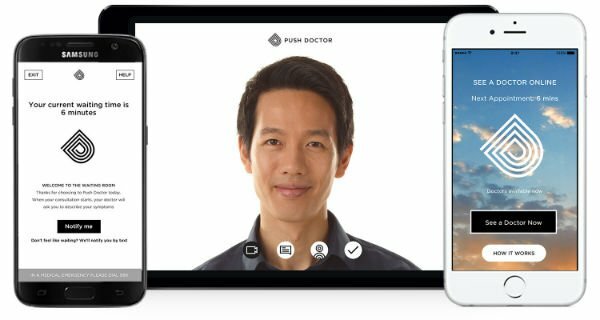 You can use your smartphone, tablet or computer to see a doctor in minutes. There's no travelling or waiting involved and we're open 365 days a year, including Christmas and Bank Holidays. Seeing a doctor out of hours is ideal for people unable to take time off work. Appointments are available from 7am - 8pm. Doctors can diagnose 8 out of 10 patients without needing to physically examine them. Our doctors can assess and treat a wide range of conditions via video consultation, including headaches, stomach problems and colds. Push Doctor’s GPs can issue prescriptions online, provide sick notes and referrals for specialist treatment and testing. Get medical advice at the push of a button. Get expert medical advice, instant prescriptions, referrals and fit notes. If you're looking for a walk-in centre in Canterbury, we're here to help. If you'd still like to visit and NHS walk in centre, Northgate Medical Practice is just a short walk from the famous Canterbury Cathedral. It operates a walk-in centre from 8:30 until 10:00, Monday to Friday. Find out where to collect your prescription medicine in Canterbury. 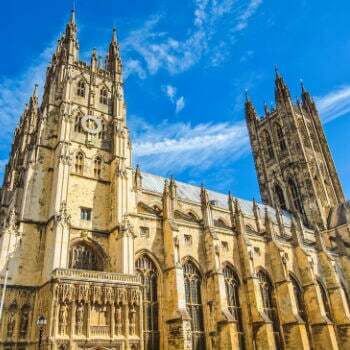 Eckersley Pharmacy is close to Canterbury Cathedral and is open six days a week to dispense prescription medication.